To say Charming Beard coffee is in a league all its own would be an understatement. Since 2010, its founder, Portland, Ore., transplant Levi Rogers, has been on a quest to set his coffee apart with the goal of roasting the “absolute best coffee.” And Friday, along with partners Josh and Becky Rosenthal, he's about to open downtown Salt Lake City’s newest cafe—and it's no ordinary coffee shop. 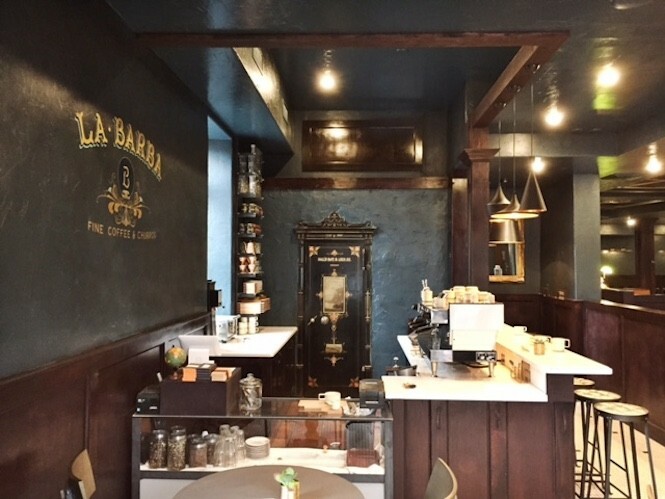 Called La Barba (Spanish for “beard”), the cafe is located inside the long-abandoned Lemongrass Thai building, which was bought and remodeled for the new location of Spanish small-plate restaurant Finca. The new Finca, opening Saturday, is a much larger space than its prior 1100 East home, allowing room for a full bar and lounge area to expand its craft cocktail program, more dining tables and two private dining rooms. “This partnership is a collaboration of like-minded folks who want to bring traditional stuff to the public with a spin,” says Josh Rosenthal, noting that Finca owner Scott Evans was the first restaurateur to use Charming Beard coffee in 2012. Silver metal tables, chairs and stools are from C.G. Sparks. Fresh flowers will be provided weekly by Native Flower Company and bring warmth to the interior and table tops. Charming Beard prides itself on paying close attention to details, and that's apparent in everything at La Barba. From the beans they get from farmers to the roasting process for their various blends to the way they serve you your cup of joe, sipping on Charming Beard coffee is an experience. 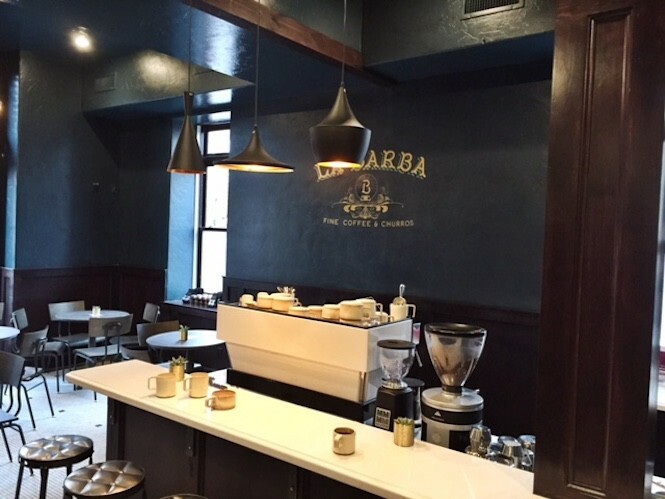 You won't find any drip coffee at La Barba. Instead, coffee is served in the pour-over method, with a wood plank, mug and small glass carafe handcrafted by local ceramic artisans Basin Goods. If coffee isn't your thing, La Barba also serves the local drinking chocolate Mezzo. “We hope to present drinking chocolate in a way that even people who don’t drink coffee can enjoy the coffeeshop culture,” Josh says. Then there's the churros and other pastries created by Finca. They are a great way to satisfy a late-night craving, since La Barba will be open daily until midnight. Josh hopes this collaboration between the highly rated coffees served at La Barba and the fine foods from Finca’s chefs will give patrons a real feel of what Utah has to offer and provide a place where folks will want to linger, from cocktail hour and dinner to coffee, chocolate and pastries.